The connection between a child and a puppet is unlike any other relationship. A young imagination is still fresh and untarnished. If something moves and speaks, it is most certainly alive. And the fact that it looks colorful and non-threatening allows the child to open up to it where an adult may be too intimidating. In children's therapy, puppets are used to help kids work through social anxieties and allow them to communicate on their own terms. Autistic children and those with developmental disorders have been known to start speaking to puppets they recognize from television when they have been classified as shy, abnormally quiet, or permanently mute. All of these children feel a sense of comfort, as if their cherished stuffed toys came to life and understood their problems. Using puppets as an educational tool helps in many of these same therapeutic ways. The child wants to converse with the puppet and if that means they have to bone up on their ABC's and 1-2-3's to continue, then so be it. Enter John-John. At the age of three, he was obsessed with Sesame Street. His mother brought him to the show and his head was swimming as he got to interact with many of his favorite characters. They had taught him how to count via the television screen, and now he was able to share that knowledge with them. Yet there is still room to teach him. As seen in this first clip, he claims that he is able to count backwards from 10. But, as Grover soon points out, he is actually counting forwards, not backwards. He shows him how to count backwards, and then John-John catches on and helps him finish. He struggles when they get to 1, but then he sees Grover is having difficulty too. When Grover finds the answer, John-John congratulates him like a teacher would to a student. He understands how difficult the exercise was and is proud of Grover for reaching the end. John-John spent a long time at the set, and various interactions were recorded. After a few counting sessions with Grover, Grover decides to share his affection for John-John. John-John is startled by the declaration of love, but he then rolls with it. These puppets are here to make him feel good and they express their love through counting. He decides to return the favor by giving Grover an objective to count towards. Being only three years old, his assignment is a little abstract. "Count this penny," he commands. 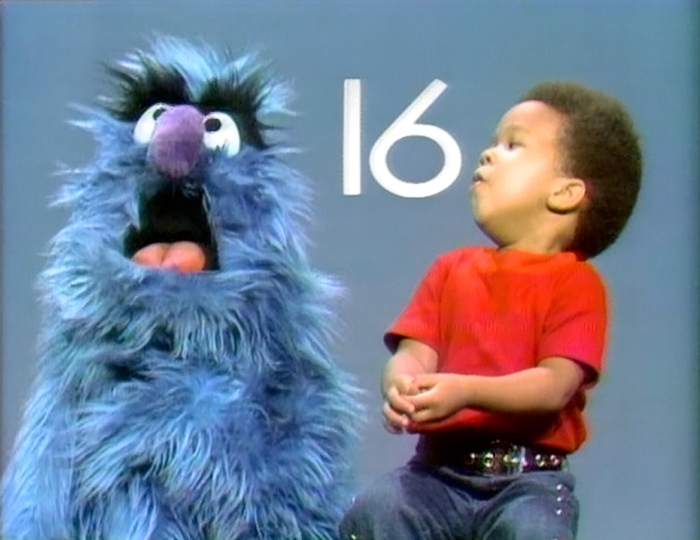 Grover (being connected to an intelligent adult) gives a little glance to the audience expressing his confusion, but he follows the order and counts it, much to John-John's satisfaction. Although John-John appeared with many other denizens of Sesame Street, his claim to fame was when he and Herry Monster tried to do the unthinkable: count to 20. The end goal of 20 was not intentionally set. Herry just gives the simple suggestion to count. After a bit of confusion as to who was going first, both decide to count in unison. They go to 10 without issue and then Herry throws out "11" to challenge John-John and see what he does. John-John accepts and begins counting by himself with Herry repeating. Due to Herry's triumphant inflection, John-John begins proudly shouting each number. He runs into trouble with 16, but he Herry give him the hint, which inspires him to keep going. Another unforeseen hurdle takes down John-John. What comes after 19? He turns to Herry for help, but Herry is just as stumped as he is. Herry is not an adult. He does not have all of the answers. John-John realizes that learning takes more than reliance on your teacher. It becomes and active problem that he alone must solve. He racks his brain, knowing that he cannot let down the monster. Then it hits him! Twenty! The simple act of introducing a puppet to the learning environment not only allowed the child to learn the concepts of counting, it taught him self-reliance and confidence. He grew up to join the U.S. Air Force, started family with a wife and two kids, and followed in his jazz parents' musical footsteps towards becoming a Tejano singer. 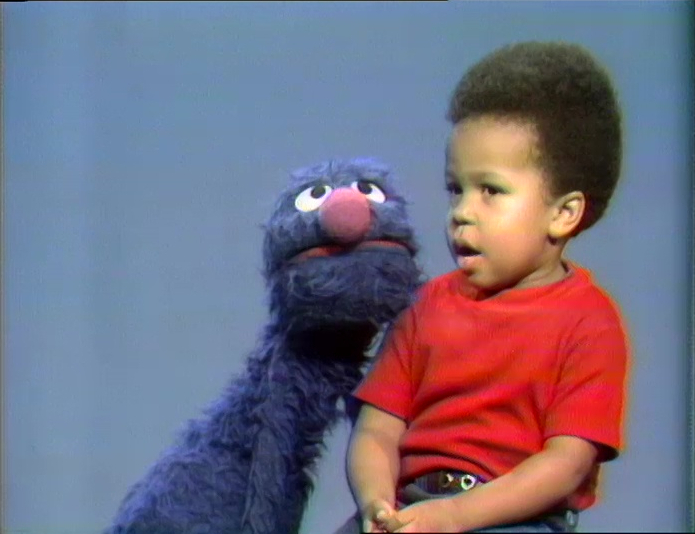 The cast of Sesame Street still remembers him fondly to this day (and Roscoe Orman even got to be "Gordon" due to his audition with little John-John). It is amazing how a few imaginative conversations with plush creatures could positively and significantly impact one child's life.